Recently I've been watching snippets of dharma talks by one of the most famous Chinese Mahayana master around today (though probably not popularly known in the west due to the absence of English translations) who lives in Taiwan, Ven. 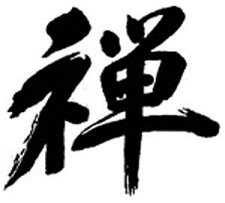 Hui Lü (慧律法師; pronounced as Hui Lyu). He is so popular among the Chinese (especially in Taiwan, China, as well as South East Asia) that sometimes up to 200,000 people would fill the stadium to attend his lectures. Thusness and I thinks his speeches are very good. 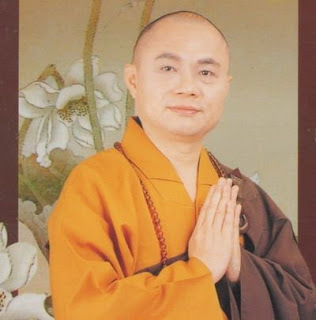 He is a lineaged Ch'an/Zen master (48th generation lineage holder of the Caodong/Soto school and the 42th generation lineage holder of the Linji/Rinzai school) and his wisdom is exceptional. Not only is he deeply enlightened, he is also very knowledgeable (he read through the whole of Tripitaka at least thrice over a period of 15 years, sleeping only one or two hours at night). Decided to do some English translations. Those who are greatly realized do not view/conceive of dharmas. They do not have anything at all, because every dharma is fundamentally empty, every dharma is disjointed. They also do not conceive of a body. Why is this so? The four great elements are also fundamentally empty, the five aggregates have always been without a 'self'. Therefore, what does it mean to illuminate/see that the five aggregates are empty? Form is emptiness, feelings, perception, volition and consciousness are also empty. Why do we say that form is emptiness? Form is emptiness, emptiness is buddha-nature, form is the display of buddha-nature. Therefore, for those who are truly realized, [it is seen that] his nature of mind is outpouring within all dependently arisen dharmas, and within the arising and ceasing [dharmas], one attains that not-born and not-ceasing unconditioned dharma, and there is no such thing as [a dichotomy of] 'conditioned' or 'unconditioned'. One sees within a split instant, eternity, and eternity IS this split instant, they are equal without duality. Therefore we should understand: not conceiving of dharmas, not conceiving of body. Body is composed of [the four great elements of] cohesion (water), solidity or inertia (earth), expansion or vibration (air) and heat or energy content (fire). These four great elements are fundamentally empty, the five aggregates - form/matter, feelings, perception, volition and consciousness, are originally ungraspable/unobtainable. Every single dharma, the wise knows that every single dharma, has originally been without a self. And in this very instant moment of no-self, that itself is Buddha-nature. Therefore, when the Buddhadharma talks about negation/deconstruction, all appearances are illusory false appearances. When talking from the standpoint of affirmation, dust after dust [phenomena] is the True Mind, every single bit of micro-dust is the shadows [appearance/display] of True Mind, every single dharma is entirely True. When it has removed all our ignorance and suffering, broken apart our attachments, removed our discriminations, everything in its completeness is the display of True Mind, every dust turns out to be True, there is not a single dharma that is not True Mind, this is speaking from the standpoint of affirmation. Standing from the perspective of negation/deconstruction, all appearances are ungraspable/unobtainable. Standing from the perspective of the world of fundamental body, every appearance is the display of the world of fundamental body [i.e. dharmadhatu], it is the pure mind's appearance/manifestation, there is not a single dharma that is not true. Those who are greatly realized [understands] that Reality and Falsity/Illusion are without difference, life and Buddha are not two, subject and object vanishes, mind and state/situation are both forgotten. [With regards to the] Real, there is also no establishment of something Real, false mind is fundamentally empty, true mind is also not established, this is called truly entering into Tathagata's absolute state of "Eternal, Bliss, Self and Pure". What is the state of the tathagata? [With regards to] False, [one] experiences that the false mind is fundamentally empty, [but] we absolutely cannot establish a real mind, to establish a real mind is to establish a concept/notion on top of [pure] knowing. False mind is fundamentally empty, we should come to understand it as such! It is enough to benefit from this dharma, it [should] ends here, entering into absolute wisdom, absolute equality, absolute freedom. At this point in time we must never establish something Real. If we establish something to be Real, this Real will turn out to be [another] illusion. Therefore, we should never "put another head on top of a head", we cannot move another thought or have attachment towards dharma. Gentlemen! Five aggregates in its immediate essence is empty, just that is the nature of the Treasury of Thus Come One, just that is Buddha, therefore Buddha cannot be separated from this instant moment. Therefore the purpose of cultivation is to attain enlightenment, to realize that every dharma is fundamentally empty, returning to no-attainment/ungraspability, returning to the nature of self in its immediacy, realizing that there is nothing to attain/grasp. Originally there is no birth, how could there be a cessation? Birth and cessation are spoken to worldly beings, [in actuality] in this instant moment there is already no birth and no cessation. It is not the case that within birth and death, there is something that is unborn and undying. We practitioners that read the sutras are often mistaken about this, thinking that inside the birth and cessation of dharmas there is an unborn and undying basic nature, that is wrong! Actually it is the case that with regards to arising and ceasing dharmas, in that instant moment, there has never been a self-nature, and through this one realizes the basic nature that is not-born. We are saying that the birth and ceasing's very instant is dependently originated, empty in nature, without self-nature, therefore they are without birth, without cessation. We should very well go and ponder and realize this. Commentary on the Shurangama Sutra by Ven Hui Lu, on the chapter that discusses "All dharmas are Buddha-nature"
Second chapter: Every single dharma is fundamentally the Treasury of the Thus Come One [tathagatagarbha/Buddha-nature], what are the dharmas? Five aggregates, six entries, twelve sense bases, eighteen elements, are all fundamentally the Treasury of the Thus Come One. How do we explain this? What sentient beings call Form/Matter, Feelings, Perceptions, Volition, and Consciousness; when the eighth consciousness transforms into the Great Perfect Mirror Wisdom, the labels/conventional images of these five aggregates completely disappears. Although the names are transformed, its body is not transformed. This false name is being transformed into what is being called the Great Perfect Mirror Wisdom, [hence] Form IS Buddha-nature, feeling IS buddha-nature, perception IS buddha-nature, volition IS buddha-nature, consciousness IS buddha-nature. To put it in another way: by illuminating/seeing that the five aggregates are empty, that its essence is empty, Buddha-nature reveals itself. Therefore it is saying, form/matter is body/matter, feelings, perceptions, volitions, and consciousness is mind. Those who are able to see through/be disillusioned with Body and Mind, are able to let them go, and furthermore are able to be complete [in disillusionment/letting go], precisely that is Buddha, being able to illuminate that the five aggregates are empty, and thus liberate all sufferings. Therefore, the Buddha transforms this body of five aggregates into the Indestructible Diamond Body, that is refering to the Marvellous Nirvanic Nature, it is not refering to appearance. Shakyamuni Buddha manifests in appearance birth, ageing, sickness and death, that is speaking from the perspective of appearance. What is termed Buddha, is to leave [all conceivings with regards to] all appearances, that is named as all Buddhas; the Thus Come One means being 'such' with regards to all dharmas. In other words: no matter how form, feelings, perceptions, volition and consciousness changes, his mind is always unmoving in suchness, whenever his mind arises and thought moves, there is no attachment to self, nor attachment to dharmas, therefore it is said that the aggregates are fundamentally the Treasury of the Thus Come One, the marvellous nature of True Suchness. These are the six entries: eye, ear, nose, tongue, body, and mind, being correlated with form, sound, smell, taste, touch, thought, which means: with regards to these six entries, actually they are also manifested through the dependent arising of the Treasury of the Thus Come One. It cannot be seen, cannot be touched, cannot be smelled; however, it can give rise to functions. Ordinary beings' eyes, ears, nose, tongue, body and mind are creating karma, therefore, from these six entries, it (deluded karmic tendencies) pollutes our pure mind; on the other hand these six entries are for the Buddha exactly the place that illuminates light and moves the earth, its marvellous activities are inexhaustible. Henceforth, from the viewpoint of saints, it is known that "when you are not prejudiced with regards to the six sense-objects, you in turn are in union with true enlightenment." The six sense-objects are absent of what is known as good or bad, however it depends [or is conceived based] on your arising mind and moving thoughts, therefore it is known that the six sense-objects that are not prejudiced is to be in harmony with true enlightenment. As for the entry of eyes, it is as said by the Buddha, what is known as entry has in reality no entry, why is it so? Pure self-nature does not have an exit or an entry, [repeat:] it does not have exit or entry. Within our China's Mahayana Buddhism, there are many, in fact the majority of those latter-day commentators, due to not having attained Great Realization, have distorted the Buddha's meaning. For example: Shakyamuni Buddha has never said anything like "while following conditions one is unchanged, one is unchanged while following conditions". That [saying] actually came from our Mahayana venerables, they keep on spouting such saying, such a saying is actually [based on] beginningless ignorance, it is a false understanding, the Buddha has never said such a saying; the Buddha has never said: from true emptiness comes marvellous existence, marvellous existence true emptiness, [I have] searched throughout the entire Tripitaka [the three textual collections of sutras, vinaya and abhidharma] and Shakyamuni Buddha has never ever said such a thing. The Buddha has also never said: from the illusory one enters into emptiness, from emptiness the illusory is produced; not attaching to either side is known as the middle way. Shakyamuni Buddha has never said such a saying, never! I have flipped through the Tripitaka's twelve sections of sutras, it has never ever said anything with regards to "being unchanged while following conditions, following conditions while being unchanged"; it has never said: "true emptiness produces miraculous existence, from miraculous existence comes true emptiness"; and it has never said: "from the illusory one enters into emptiness, from emptiness comes the illusory, not attaching to either side is known as the middle way". Having an exit and entry, how could that be Buddha-nature? Therefore, the first saying should be changed into: Appearing according to conditions. Those who say: being unchanged by the flow of conditions, the flow of conditions does not change/affect us - we usually have the view of a self-nature, conceiving that the Treasury of the Thus Come One is always unchanging in suchness, unchanging in suchness, like a pool of dead water. Wrong! It can give rise to marvellous function, therefore, it manifests according to conditions. When the Buddha preaches the dharma he is also in Samadhi, in movement, standing, sitting and sleeping, the ingenuity in varying usage depends on natural intelligence, how could there be an unchanging thing? This "being immutable in the midst of conditions" will cause people to fall into (the conclusion of): there is a kind of "something" that is unchanging, and one constantly seeks after a kind of "something that is not changing", mistaken that there is a kind of "something" that is called "eternal". [In actuality] what is known as eternal is eternally non-abiding, filled with wisdom-mind - that is called eternal, it is not that there is a kind of "thing" that is called eternal. We have to understand, conditioned dharma IS precisely unconditioned dharma, conditioned dharma is the dependently arisen, arising and ceasing, impermanent dharmas; it is completely empty and hence unconditioned dharma, its immediate essence is empty, we do not speak of any dualities. Therefore we say: manifesting according to conditions, is what completely and greatly realized people would say, for if you talk about "being immutable in the face of conditions", what is the thing that never changes? Those greatly realized mind knows that Buddha-Nature is like the Wish-Fulfilling Gem, when the Hu man arrives Hu man is made manifest, when the Han man arrives Han man is made manifest, it will always change, if it were unchanging it would be like a pool of dead water, how could it manifest functions? Isn't that the case? If the Treasury of the Thus Come One never changes, then how would Shakyamuni Buddha expound the sutras and preach the dharma? [If] it is unchanging, [it would be like] a pool of dead water, when Shakyamuni Buddha expounds the sutras that would be the coming forth of marvellous activities, how could it have been that it never changes? Isn't that the case? Therefore: Buddha nature is Impermanence. What is known as Buddha-nature is Impermanence, is spoken from the point of view of marvellous activities; when Buddha-nature is spoken as permanent, it is spoken from the perspective of [fundamental] body, when speaking to those who have not realized, this is the only way we can explain. When speaking of Impermanence, that is due to the Buddha's bemoaning the state of the universe and pitying the fate of mankind, thus letting us realize that the ten thousand dharmas are arising and ceasing in impermanency, empty without self-nature, therefore, Shakyamuni Buddha cannot avoid speaking about Impermanence to let you realize it earlier. When explaining Permanence, it is for the purpose of providing something to rely on for the practitioners of the two [lower] vehicles, wherefore we speak of our Treasury of the Thus Come One as Permanence, Bliss, Self and Purity, however the practitioners of the two [lower] vehicles then grasp after a kind of something that is 'Permanent, Blissful, Self and Purity', and thus again becoming attached to an eternal something. When the Shakyamuni Buddha talks about impermanence, it is meant for severing your craving; when speaking about permanence, it is meant for providing a means of support for the practitioners of the two vehicles, yet the practitioners of the two vehicles then attached to a kind of something that is called 'permanent'. Shakyamuni Buddha tells us: when talking about Permanent, Bliss, Self and Purity, that is just a kind of skillful means, [for] when it arises transformation, then it is impermanence. Could expounding sutras and preaching the dharma have been permanence? It will change/be impermanent, impermanence in its essence is empty, just that is permanence. Therefore, nature and appearance are fundamentally one suchness, where could there be permanence or impermanence? Nature and appearance are fundamentally one suchness, where could there have been abidance or non-abidance? When reaching the state of the Buddha, if we impute a view then it is completely wrong. Imposing any kind of view is not allowed, not one dharma is established, only then is this the true Dharma. Buddha has never talked about true emptiness producing marvellous existence, or marvellous existence [comes] true emptiness, this is a commentary from China's patriarchs. The Buddha has also never said: from the illusory enters emptiness, from emptiness comes the illusory, the Buddha has said: Not-two dharma door [the Dharma of Non-Duality], you have to be clear about this! What is known as the dharma door of non-duality means Mind and Situation are not two, isn't it so? Dependent arising is equivalent to empty nature, it is not that apart from dependent arising there is another empty nature. Or that apart from dependent arising there is another empty nature, dependent arising is going in accord with conditions, and apart from that there is an empty nature that is known to be permanent. Isn't it the case? Then that would be splitting it into two, then this is no longer the dharma door of non-duality. Dependent arising is fundamentally empty, just that is the empty nature; birth and death are fundamentally empty, just that is Nirvana, birth and death and nirvana is without distance, Bodhi [enlightenment] is originally not one thing.